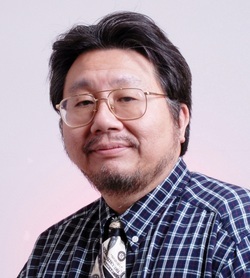 He was born in China in 1955 where his parents went to medical school there, but moved to Indonesia where he grew up. During his youth, he was very active in boy scouts and was an avid traveler and hiker. Afterwards, he graduated high school in 1974 and went to UNPAD medical school, following the footsteps of many in his family who entered the healthcare field. He got his medical degree and in 1977, he married his beloved wife, Dr. Elly Swadipura D.D.S. Life was a bit of a struggle at this point. He tinkered and invented many things during this time including making a no-maintenance water filter. He also farmed tropical fish. His main source of income, however, was from a distributor company he founded that sold consumer goods, and OTC pharmaceutical products. In 1978, he went to school again to get an acupuncture license. He followed that with entering Trisakti Dental School in 1979 and graduated in 1985 while still managing his company. Normally, newly graduated dentists are required to work in rural provinces for at least 5 years before they can choose a place to reside, but surprisingly, he was assigned to work in Jakarta, the capital city. This was because the Red Cross Secretary General was impressed that he was able to repair twelve blood components separator machines units upon a chance visit to their headquarters. He was the first dentist who was also assigned to perform medical machine engineering duties by the government. After moving to America, he passed the American Dental National Board and California State Board examination in 1987. First, he ran a dental laboratory business. In 1989 he passed his dentist licensure and built his first dental clinic, 369 Dental Center in 1990. In 1994, he opened a second clinic that was much bigger than the first. Both clinics are still operating. Dr. Irawan has also been involved in philanthropy and community service. In 1998, he was one of the founders of the Indonesian Chinese American Association, a non-profit organization. He was also in charge of their Lion Dance club. In 1999, he created the biweekly publication, “Indonesia Media” and www.indonesiamedia.com. Today, it is the largest Indonesian publication in North America. In 2004-2007, he also served as a Board of Director for the Arcadia Chinese Association. Now he is serving as VP of IABC (Indonesian American Business Council) . Dr. Irawan is also interested in construction and in 2008, he obtained his California general contractor class B license. He has used his license to build and rent out commercial buildings. Dr. Irawan has two children. Bryant Irawan who studies at UCSF Dental School and Stacey Irawan who studies at USC.